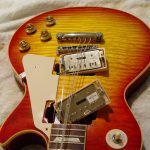 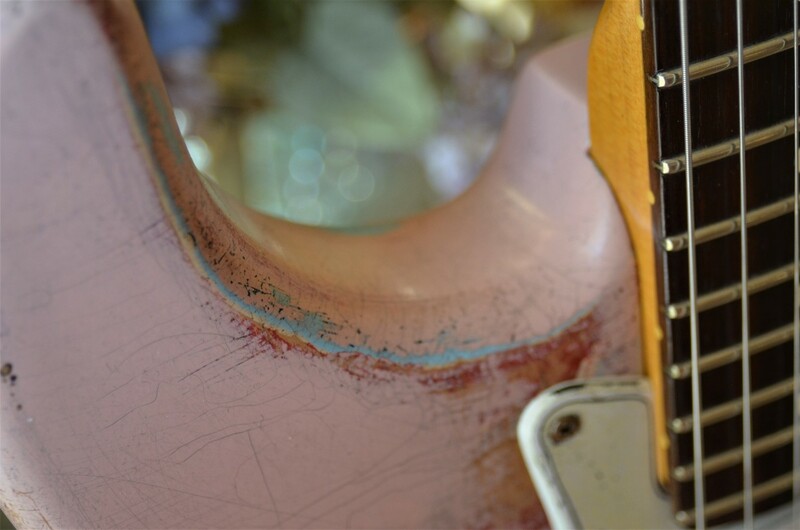 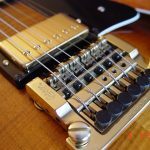 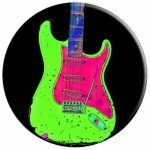 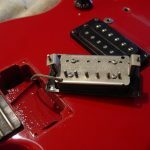 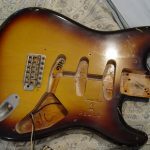 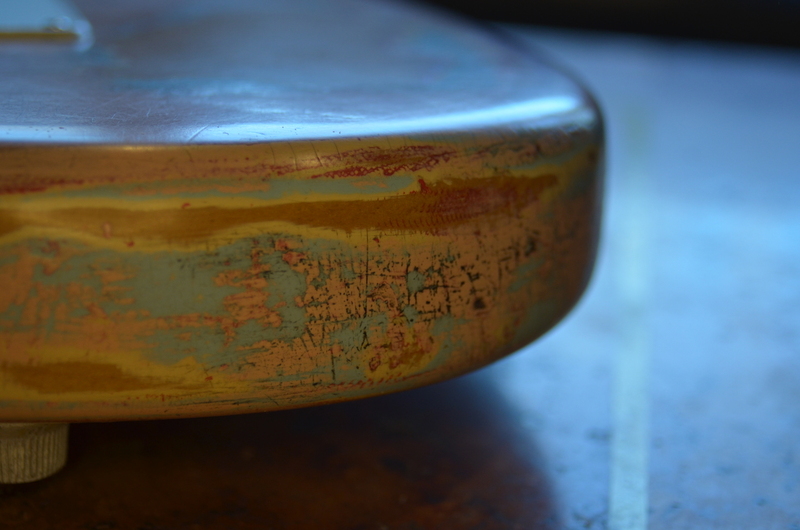 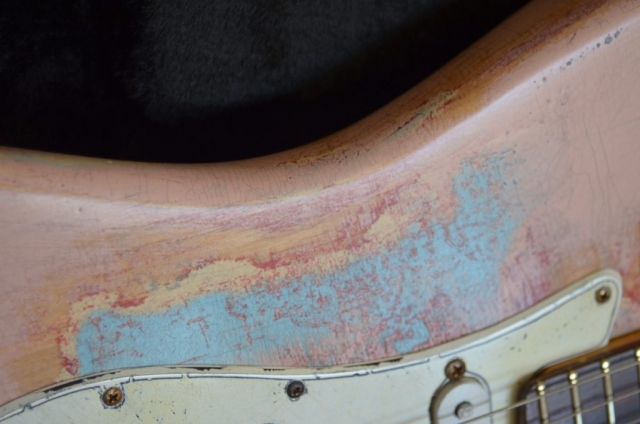 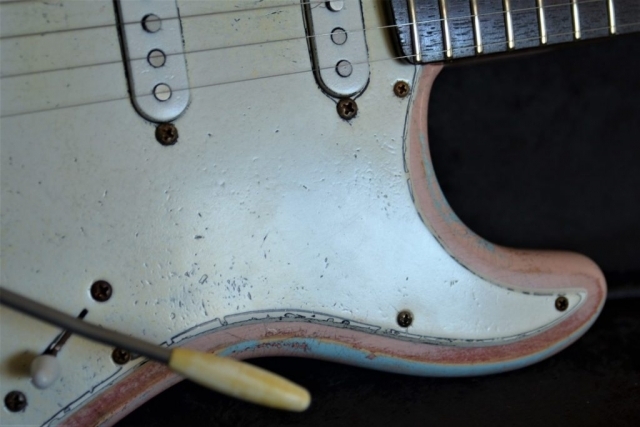 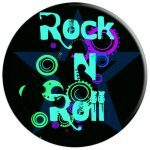 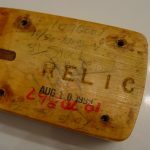 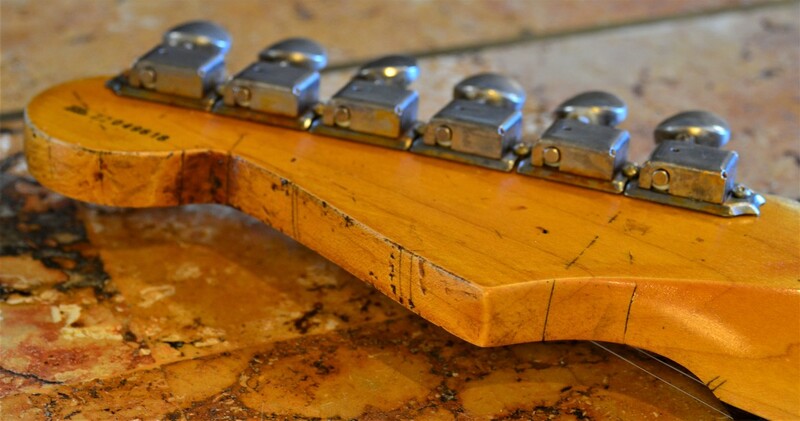 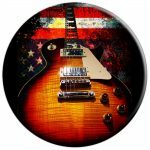 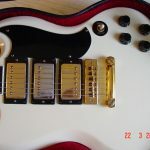 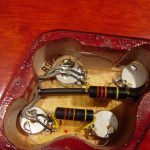 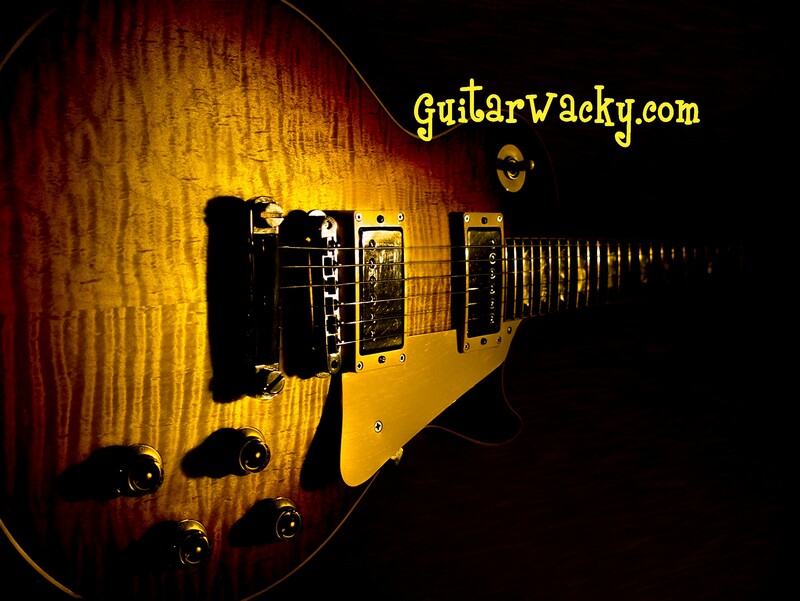 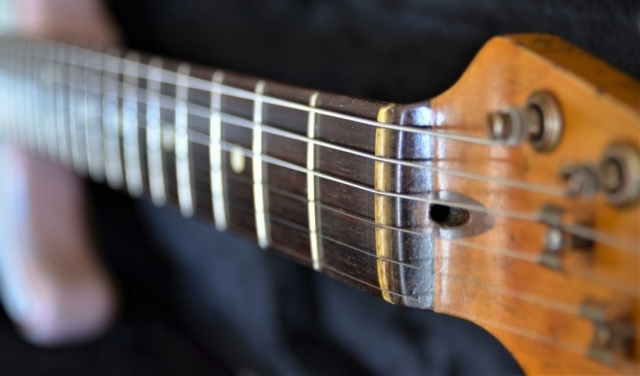 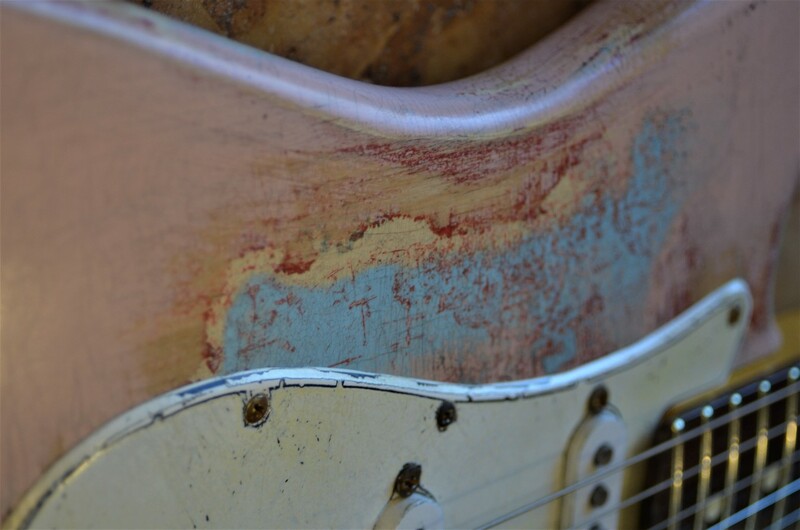 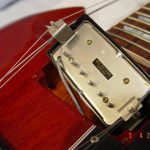 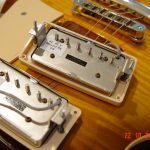 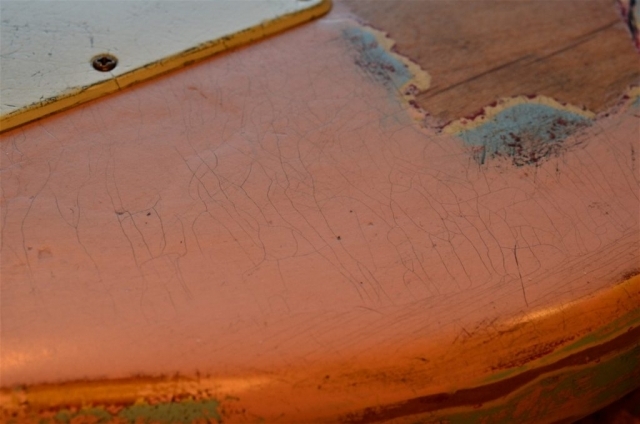 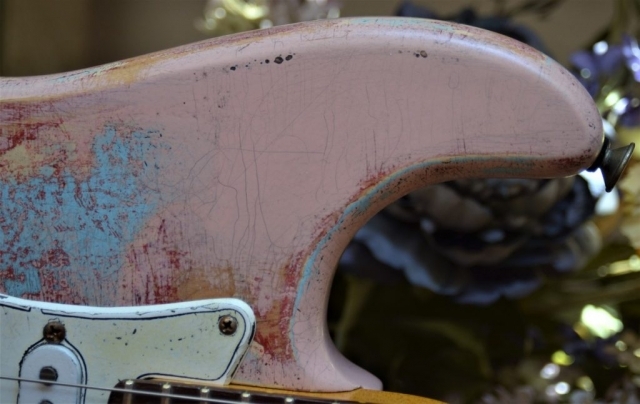 Guitarwacky’s relics are custom-refinished, and flawlessly detailed by artisans whose love for guitar can only be measured by the level of detail embodied within their relic art. 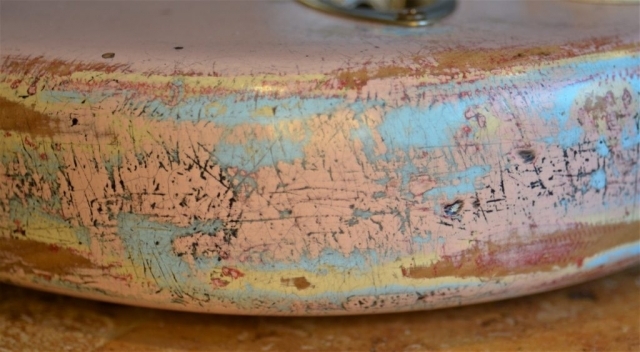 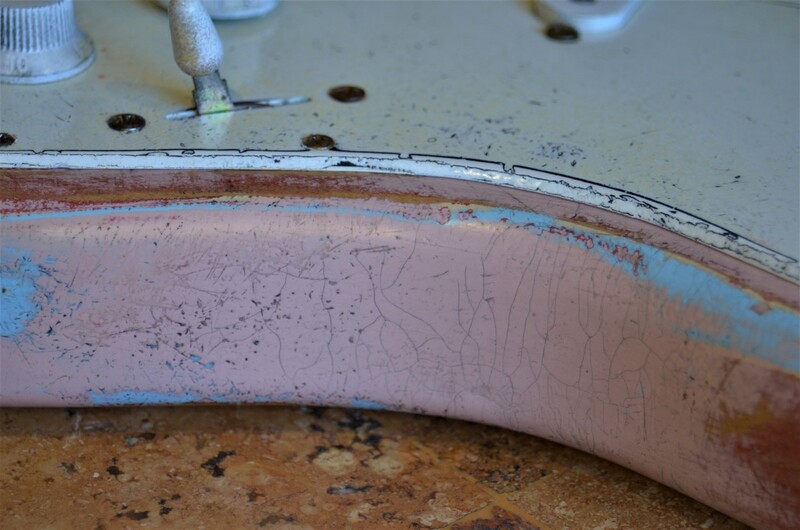 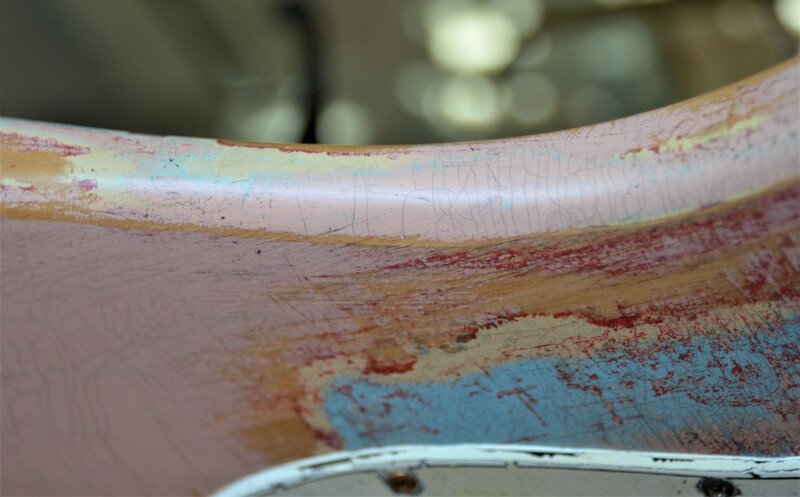 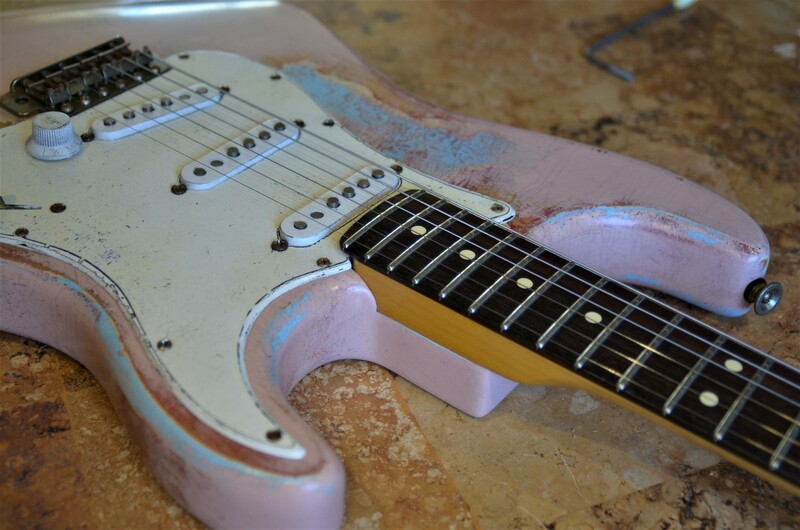 Shell Pink was originally the color of a 1956 Desoto auto and eventually became one of the most prized Fender guitar colors ever made. Relic guitars are about mojo. 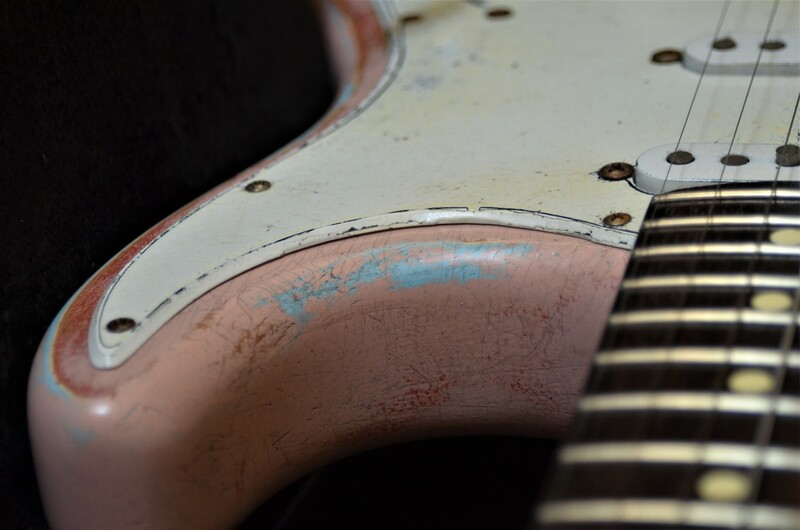 Mojo is challenging to replicate; a timeline dignified by decades and generations of performance art. 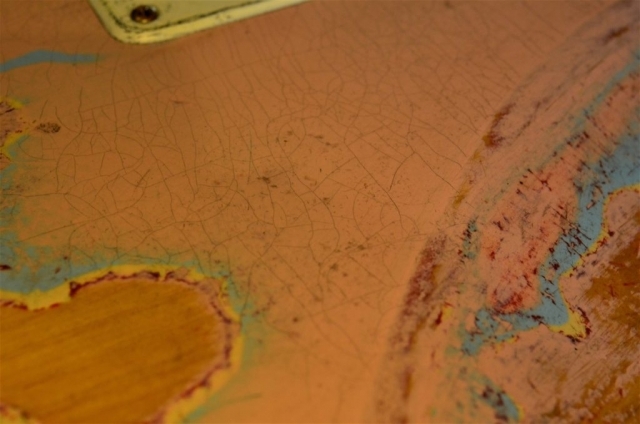 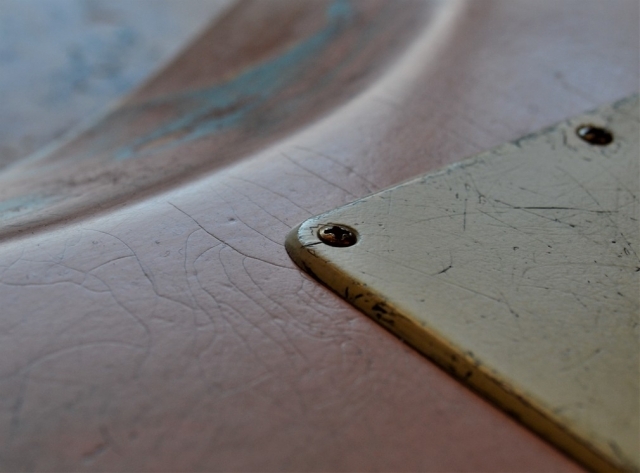 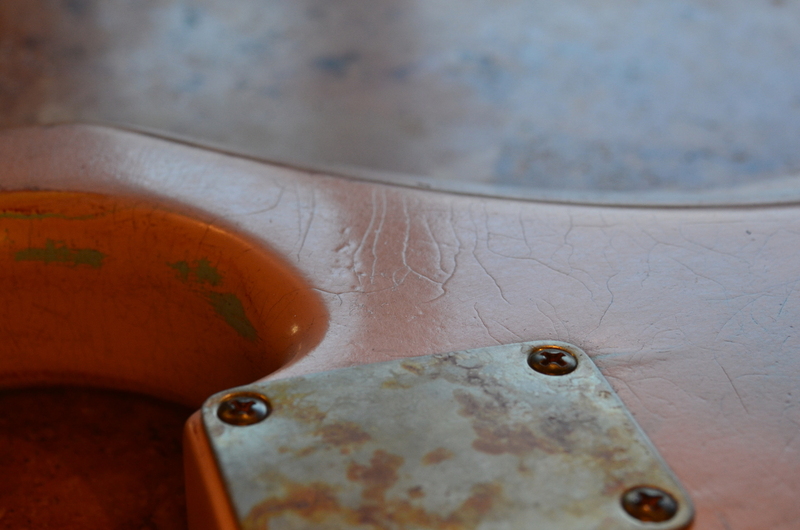 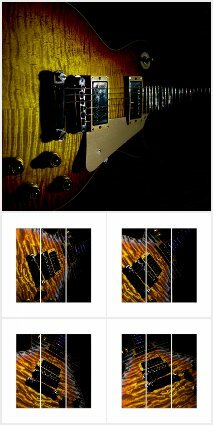 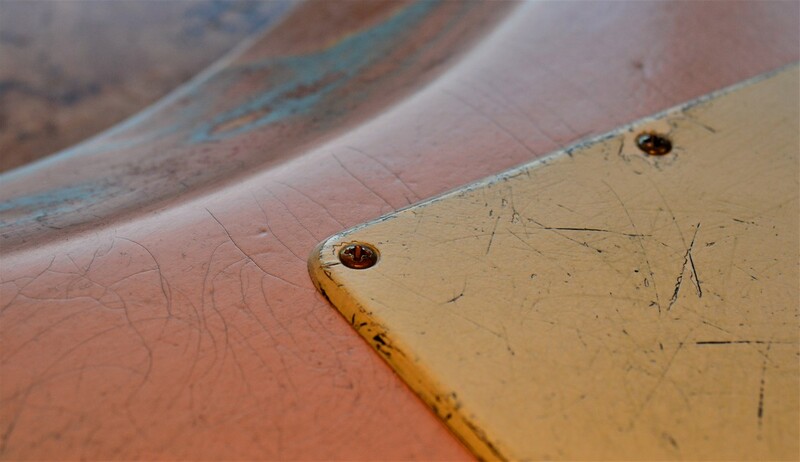 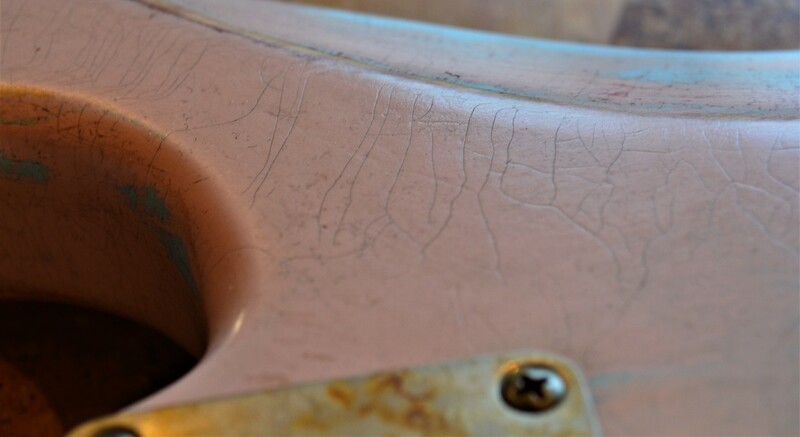 It is built-into the guitar like age lines on a face; each scratch, each chip, each dent representing a moment in time, a show, or phase in one’s life. 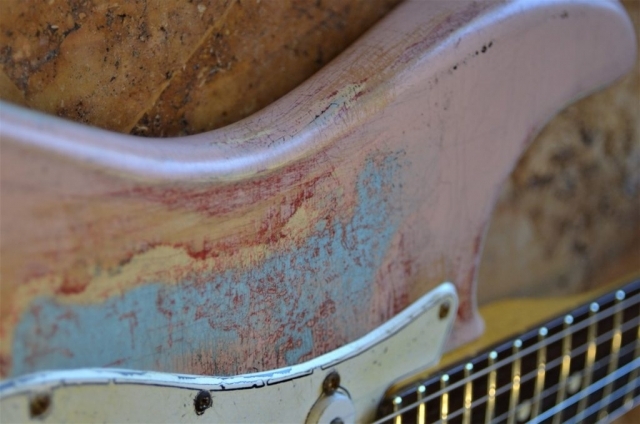 Mojo is special because it is metaphysical and transcendent; it’s unspoken, difficult to distinguish and misunderstood by many. 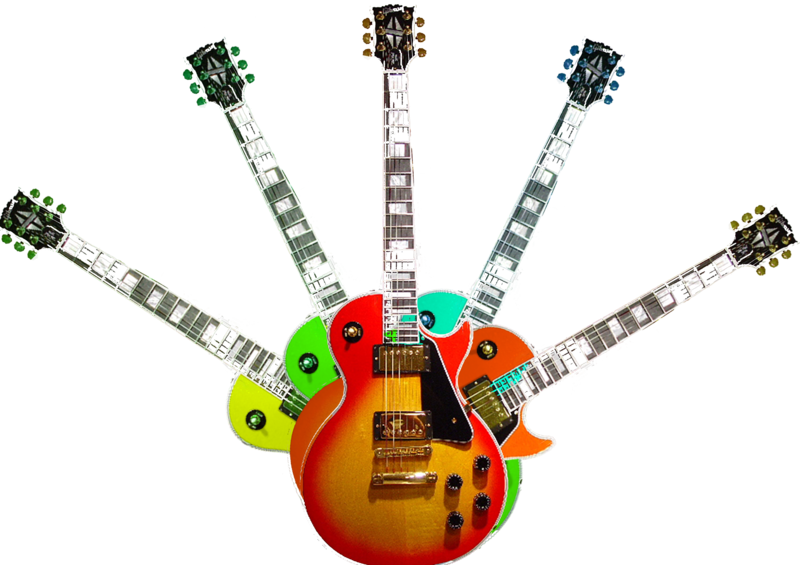 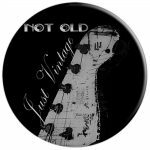 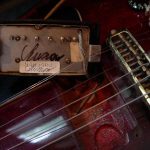 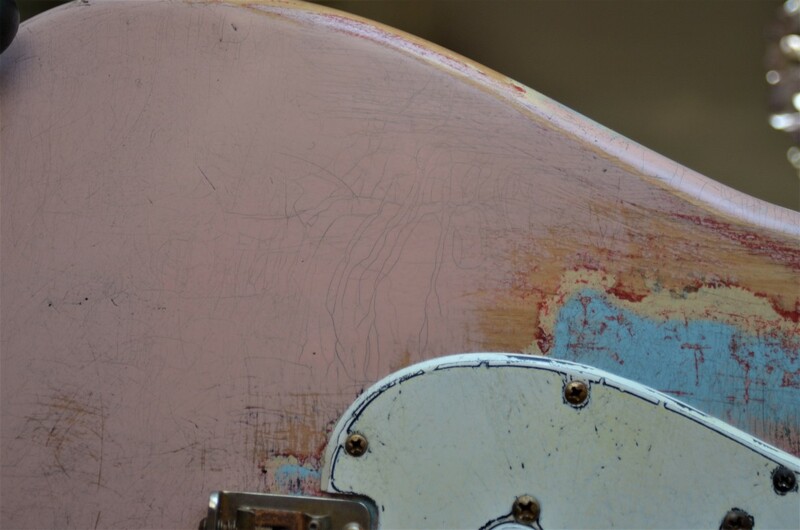 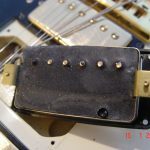 Mojo is treasured by those musicians who know what it is, but don’t have 30 years to wait for their guitars to naturally age. 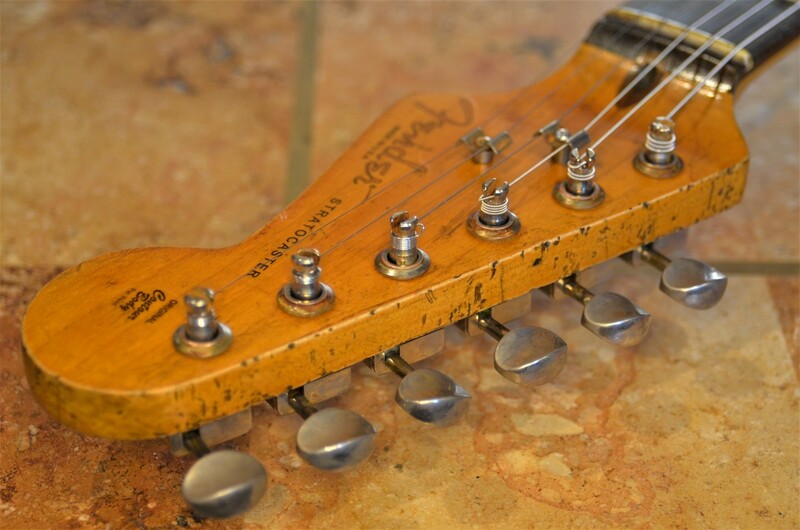 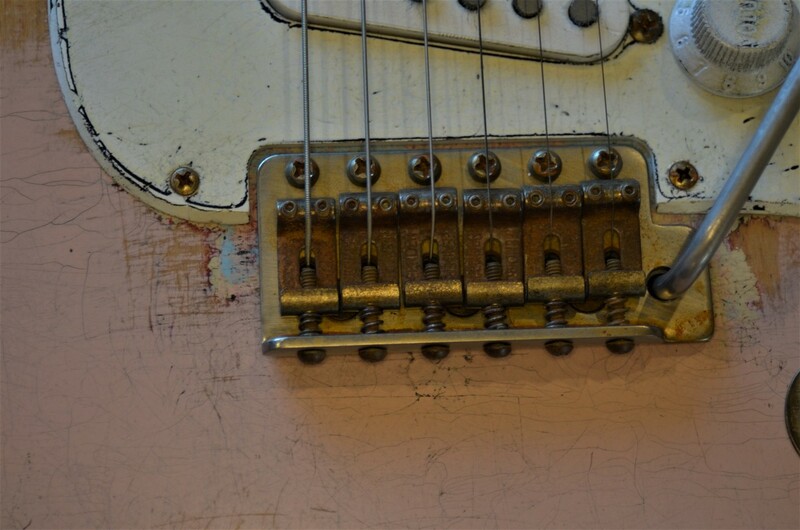 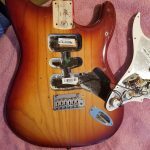 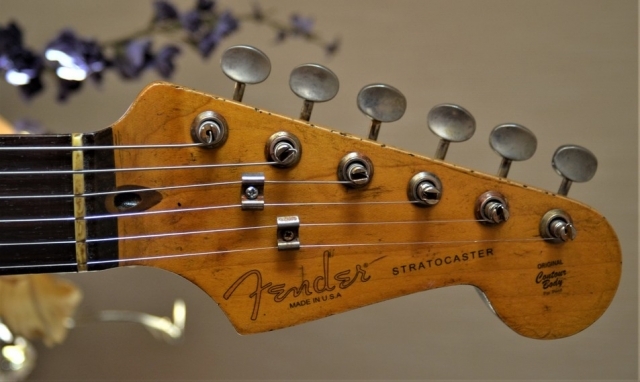 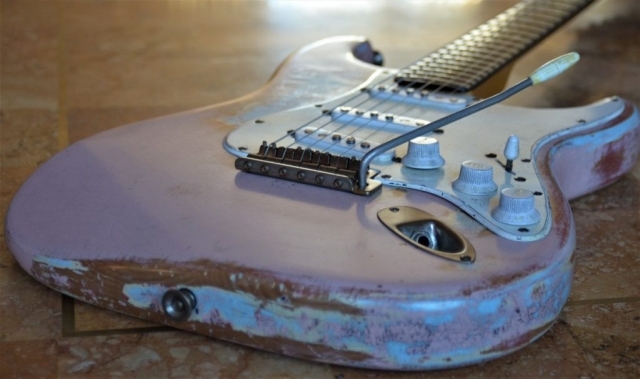 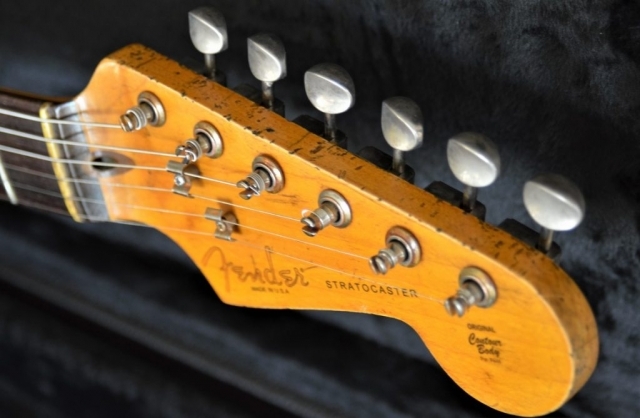 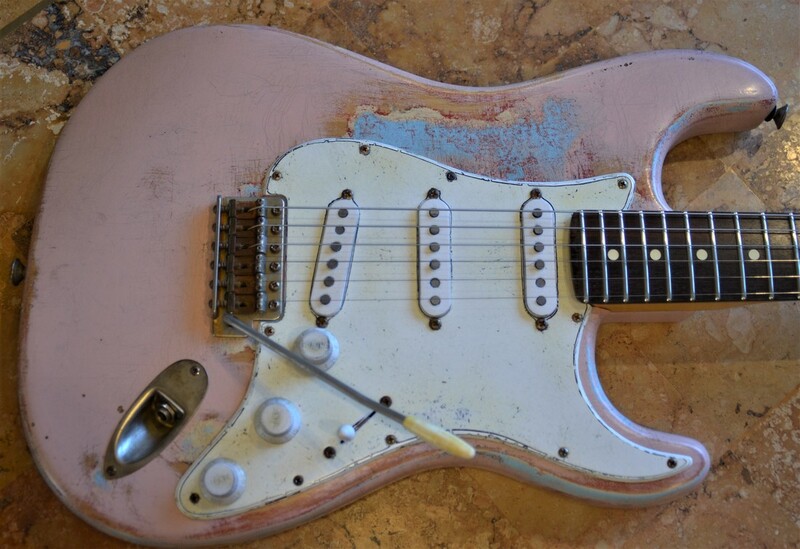 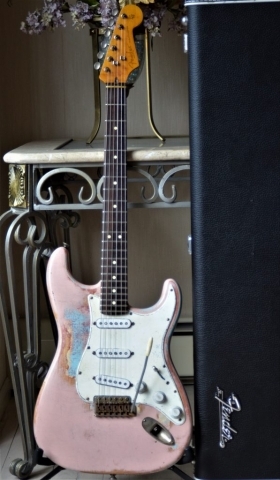 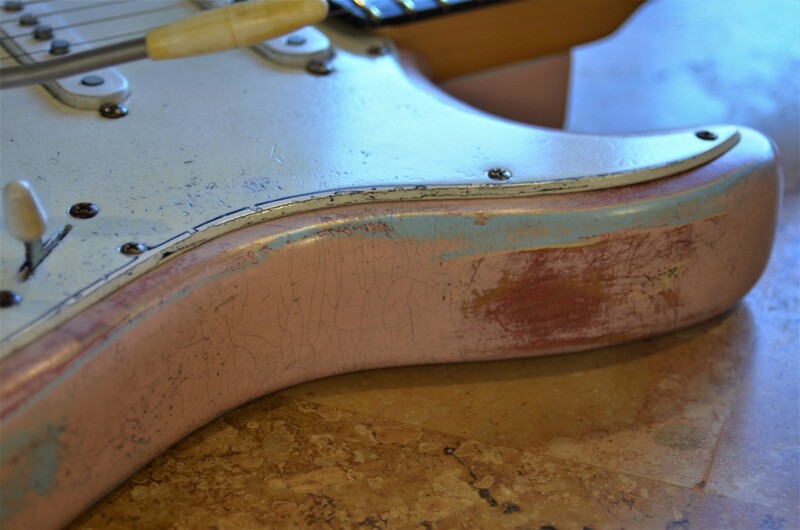 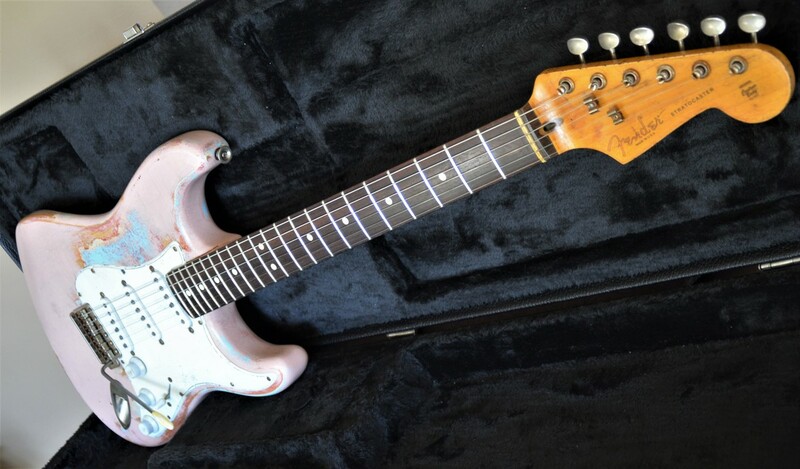 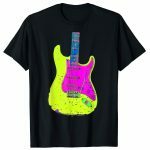 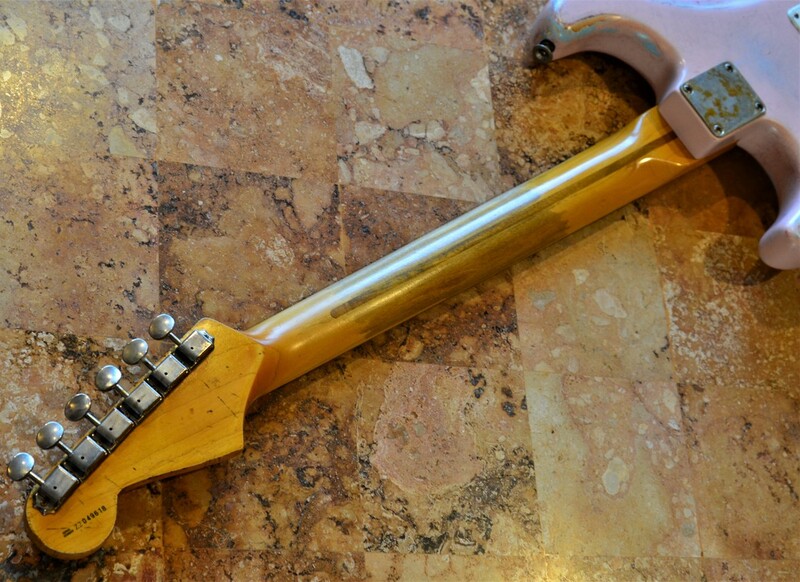 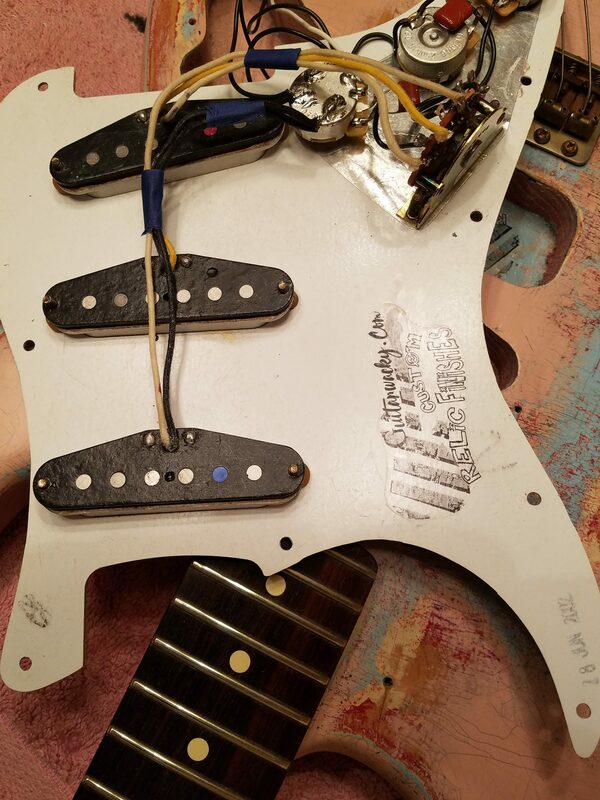 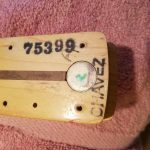 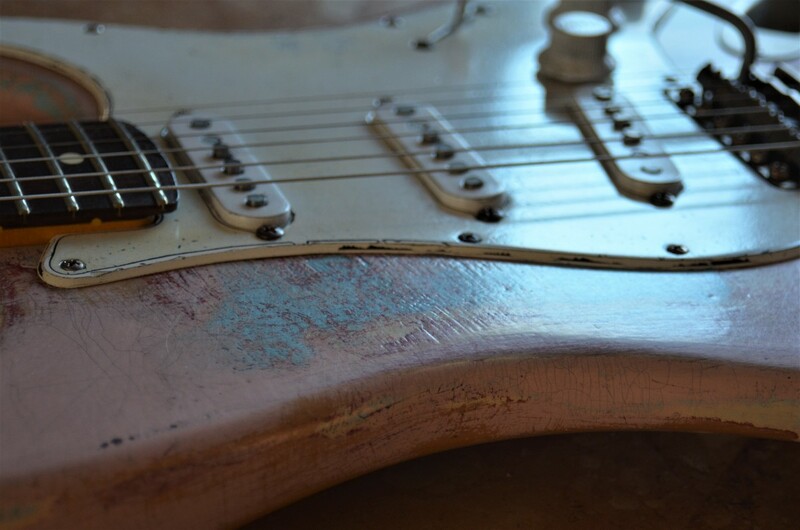 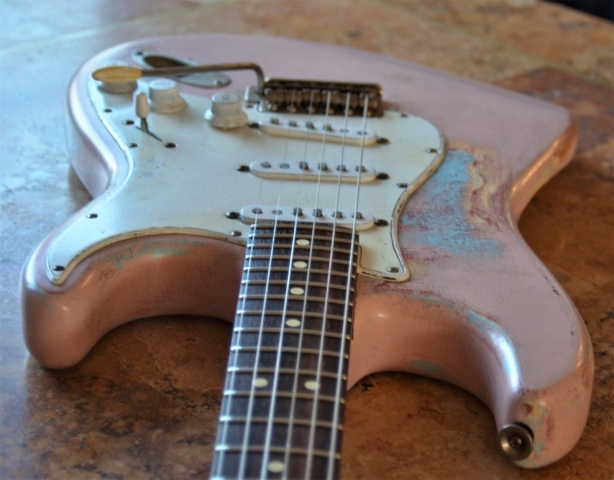 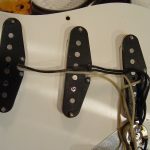 This Relic started out as a 2002 American Fender Stratocaster. 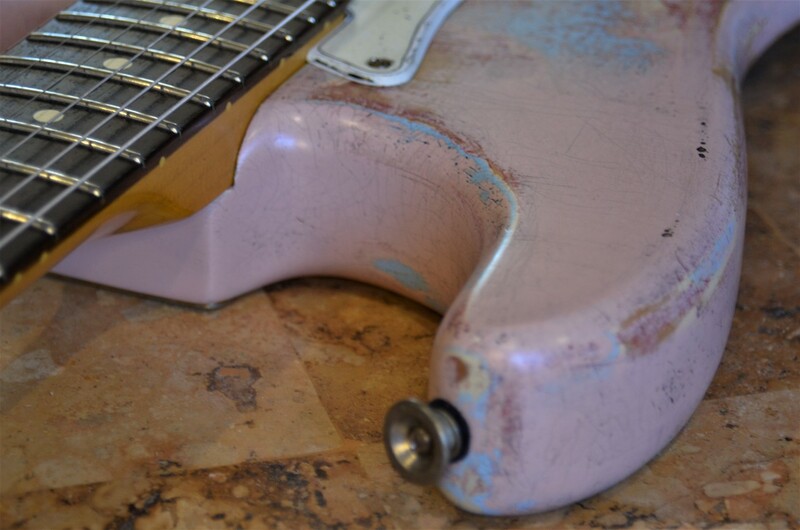 We supercharged it with Fender Custom Shop Fat 50’s Pickups. 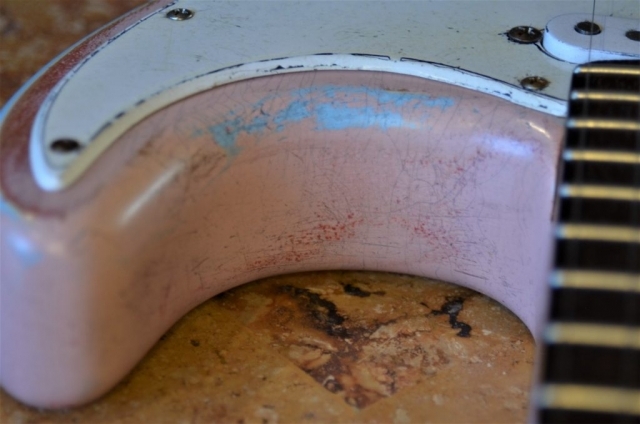 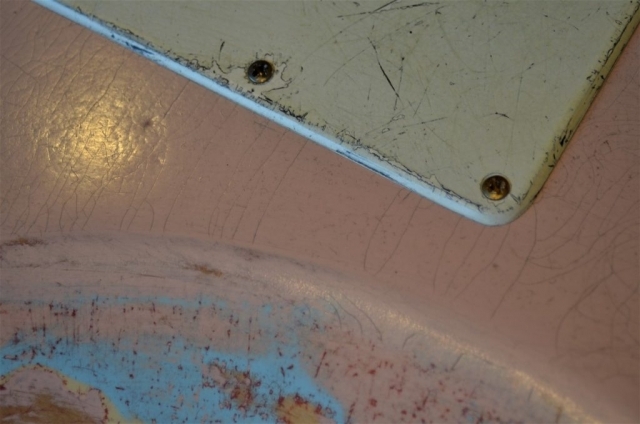 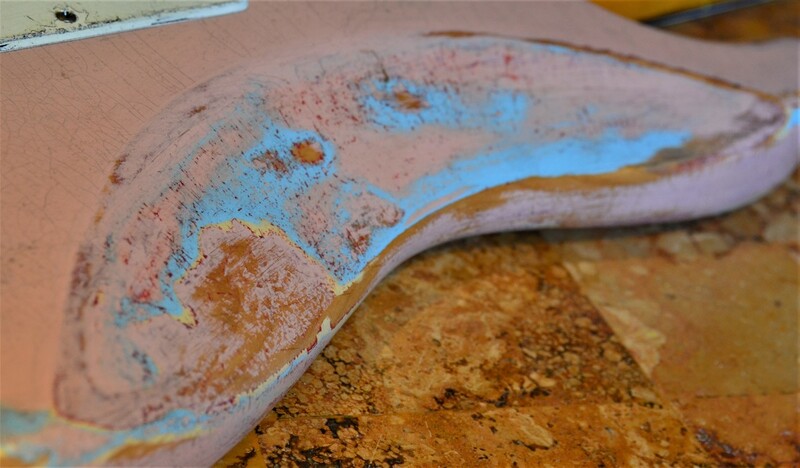 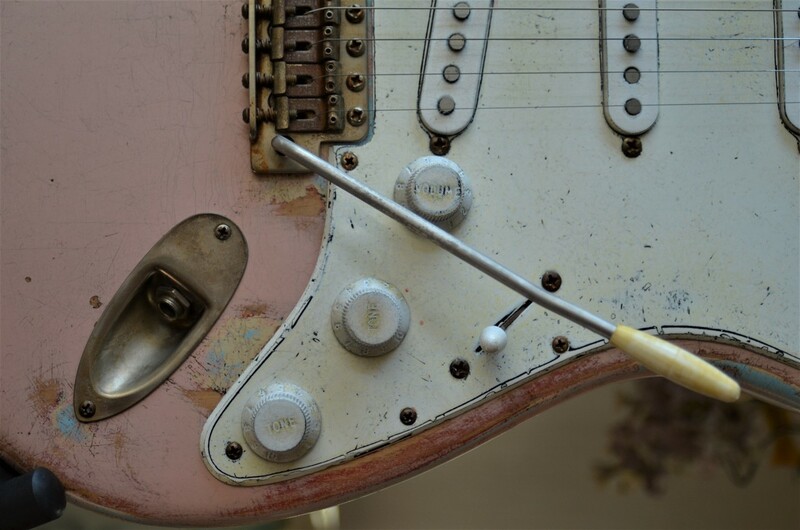 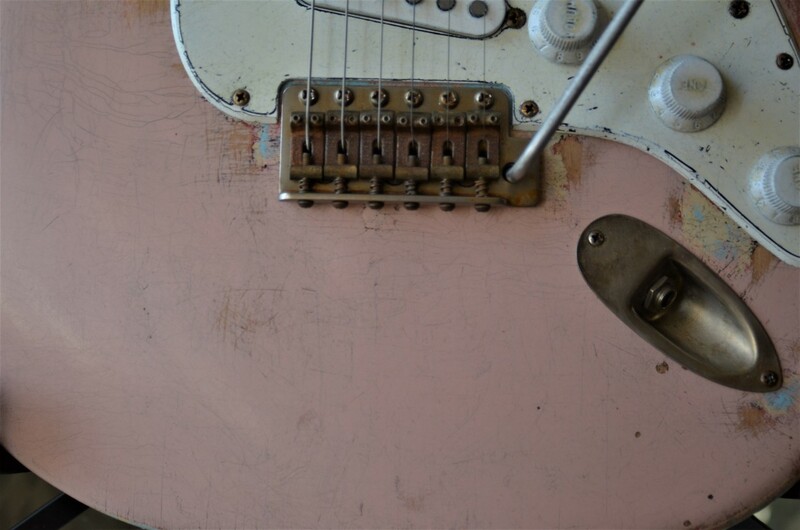 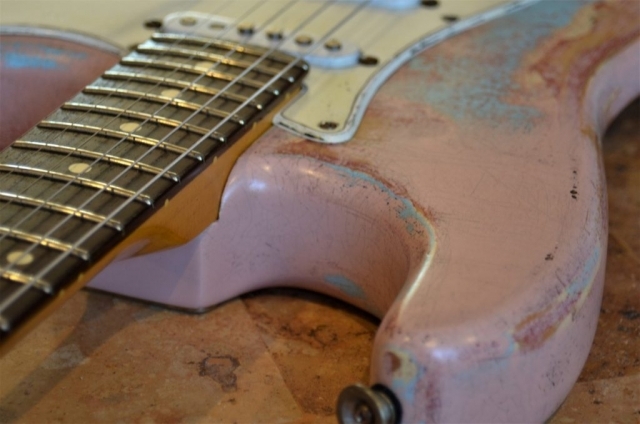 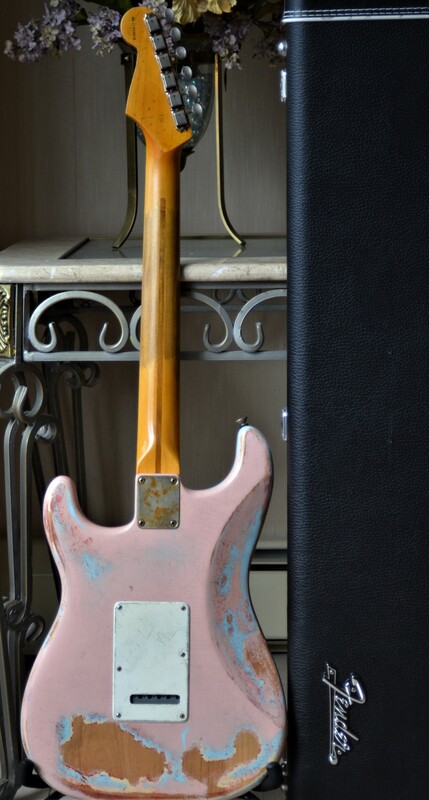 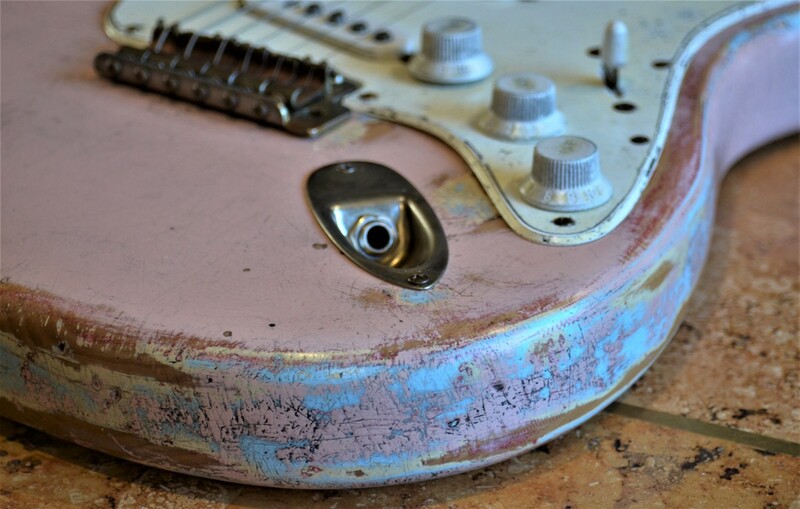 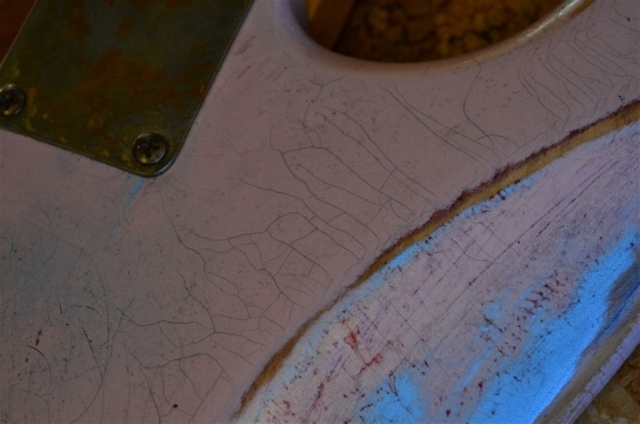 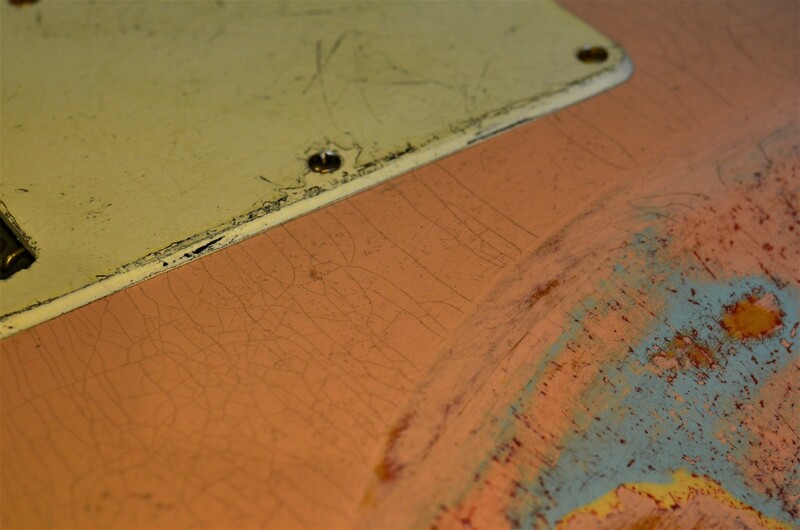 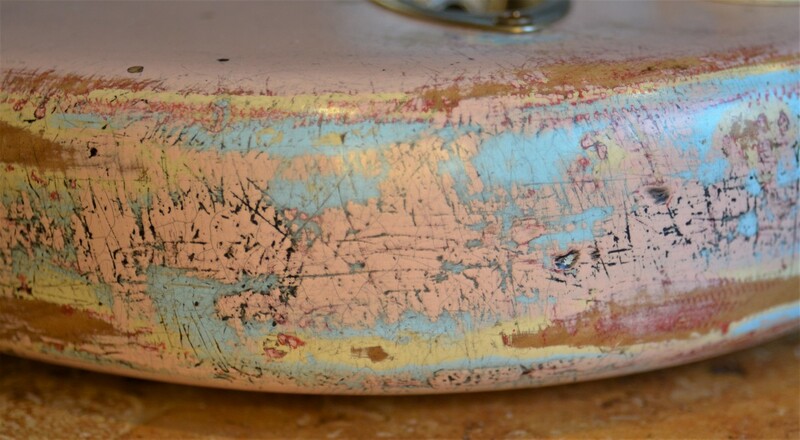 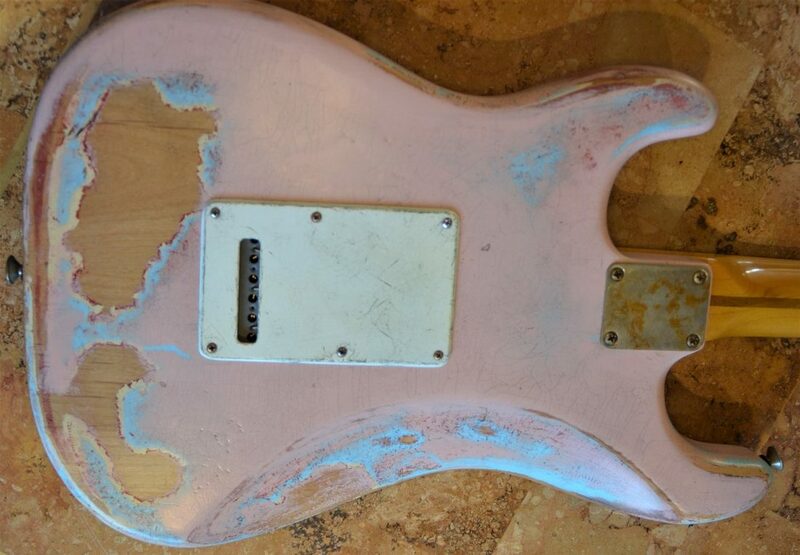 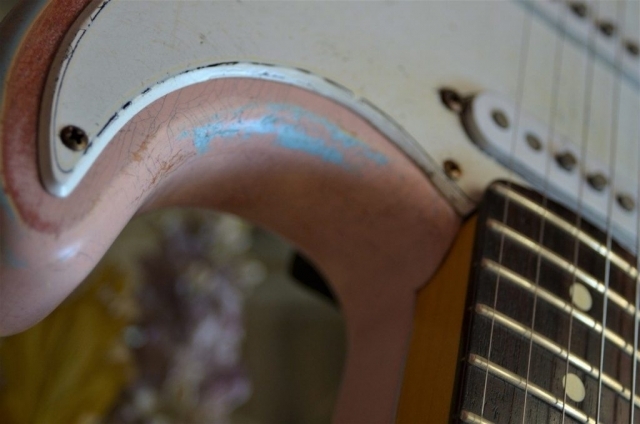 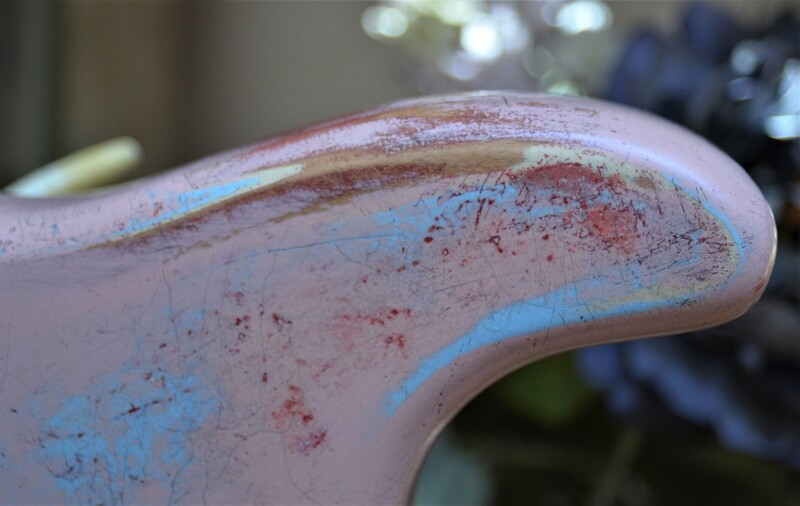 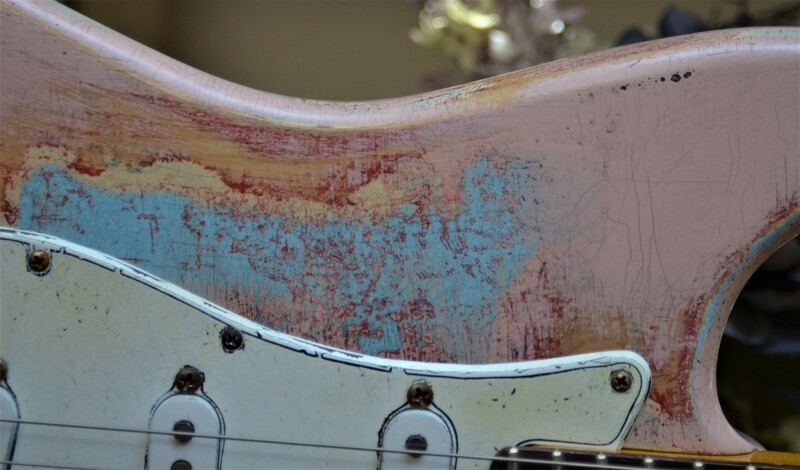 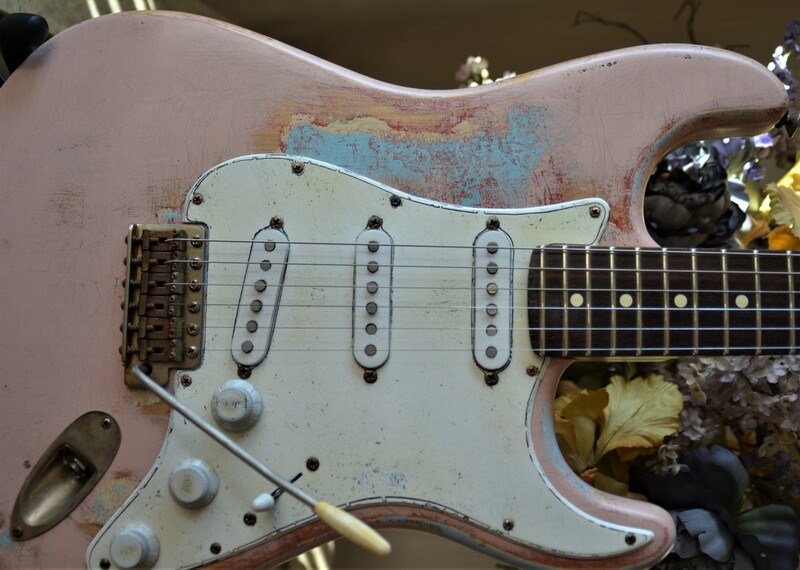 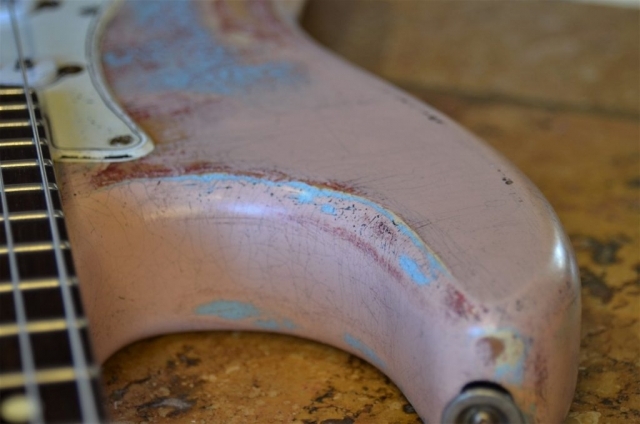 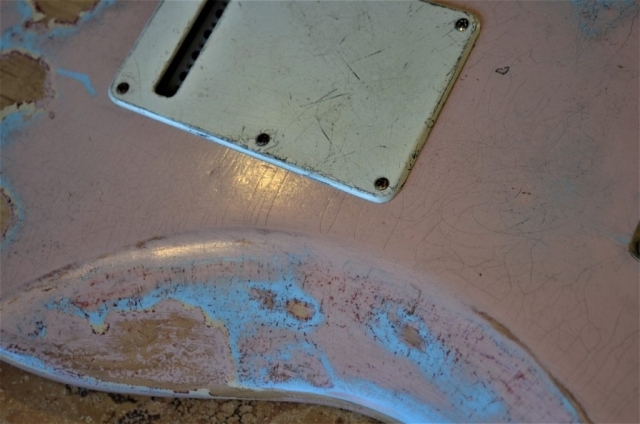 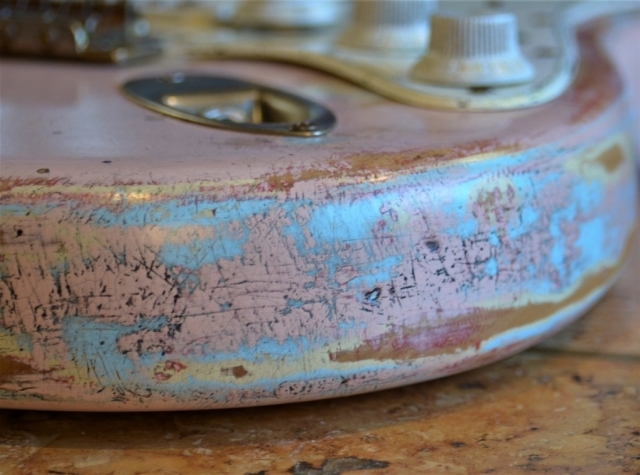 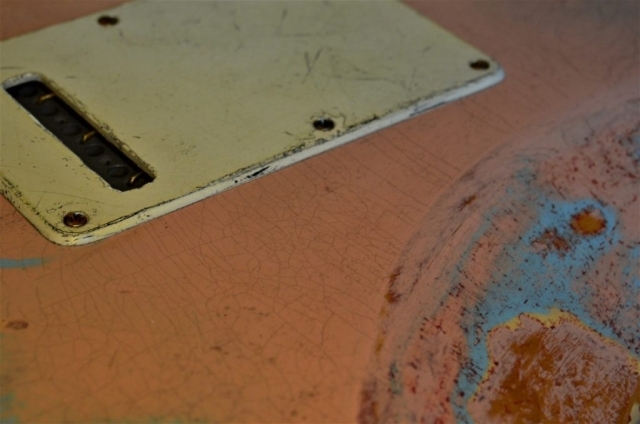 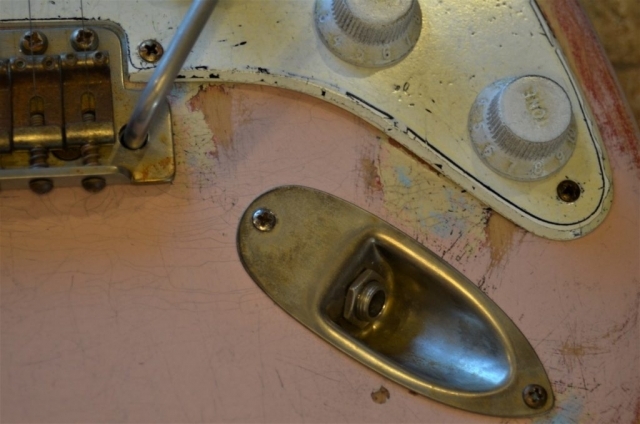 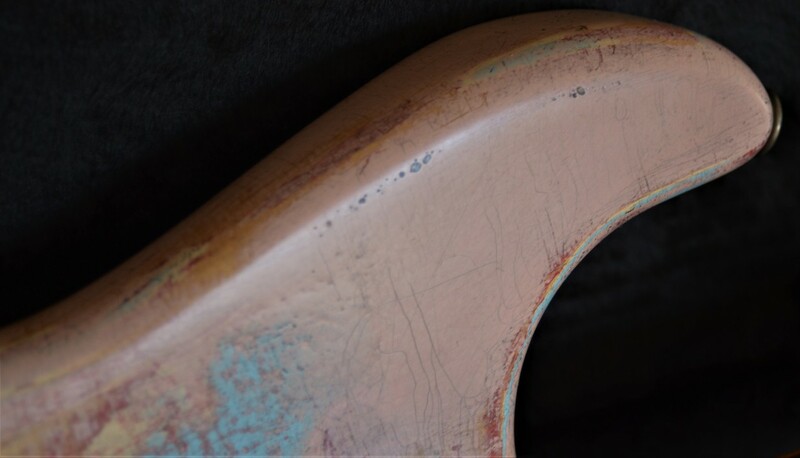 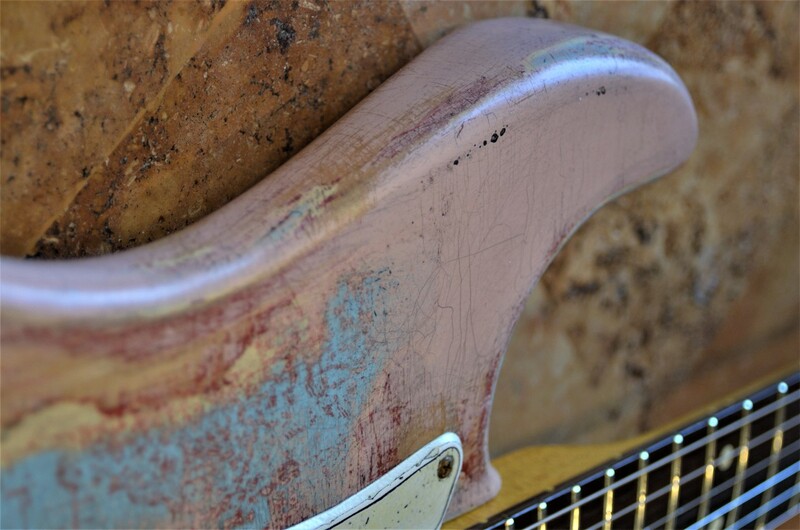 We aged the guitar with Daphne Blue, Shell Pink nitro then clear coat nitro coats.The pick guard, rear cover, pickup covers, knobs and tremolo arm were artfully aged to perfection. 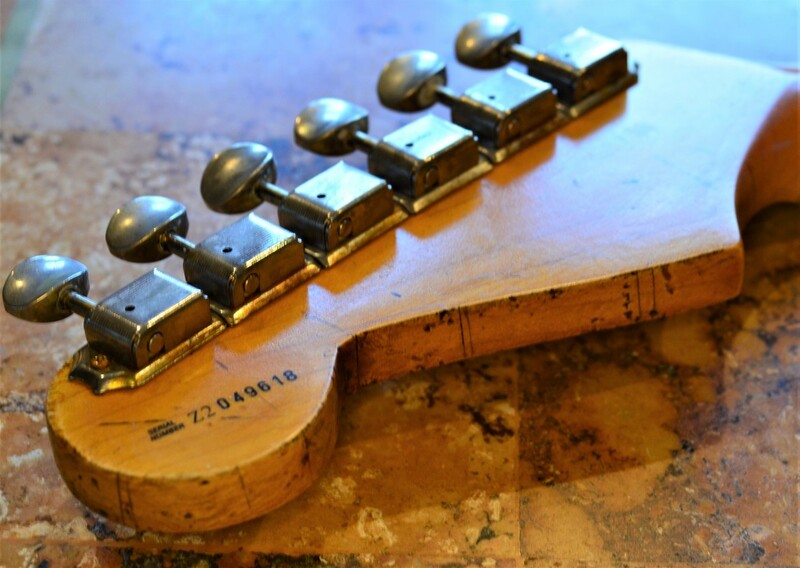 Vintage bridge and vintage tuners with 10mm bushings, were added to complete the ageing process and add to the authenticity. 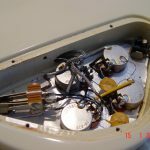 All hardware including screws were aged on premise. 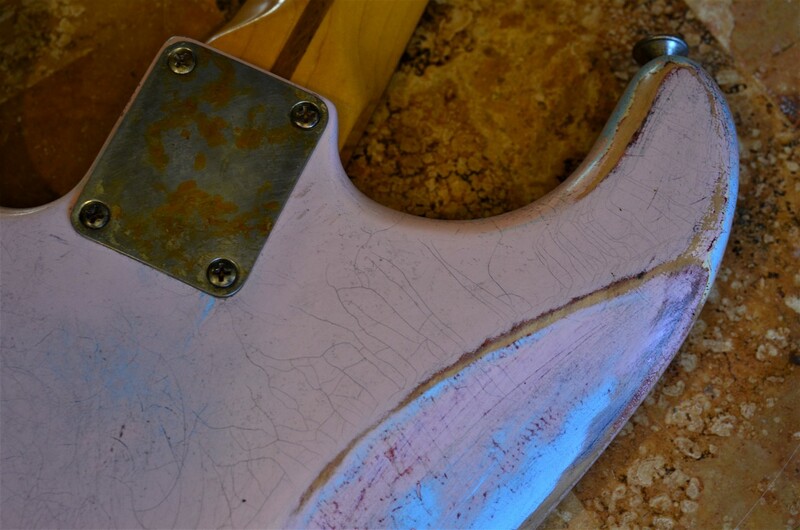 All screws were then sealed with lacquer so the way they look today is the way they will always look. 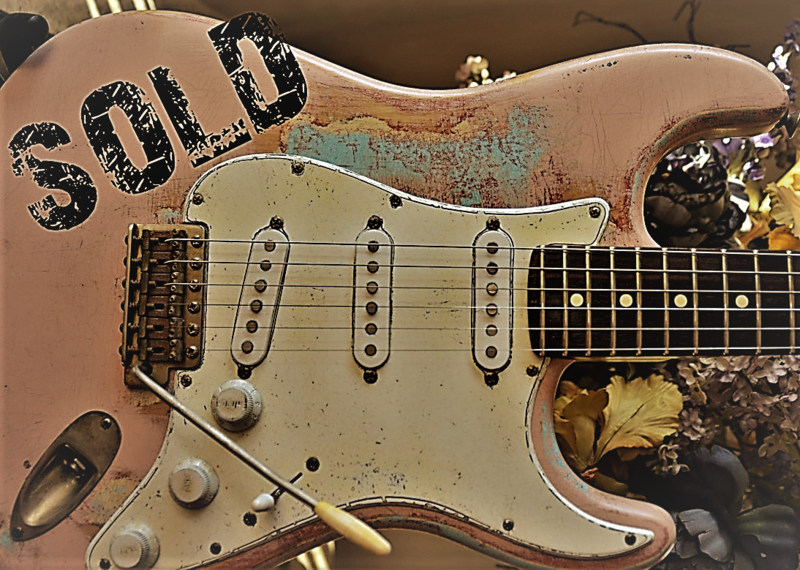 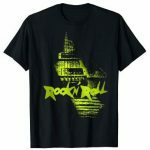 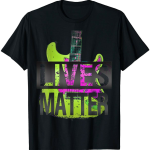 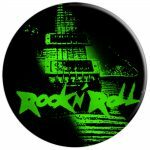 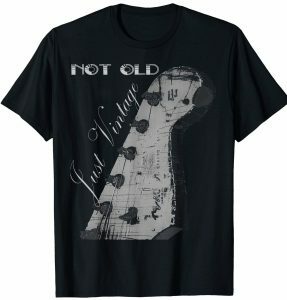 If you are interested in purchasing this relic then please checkout our store on Reverb below.